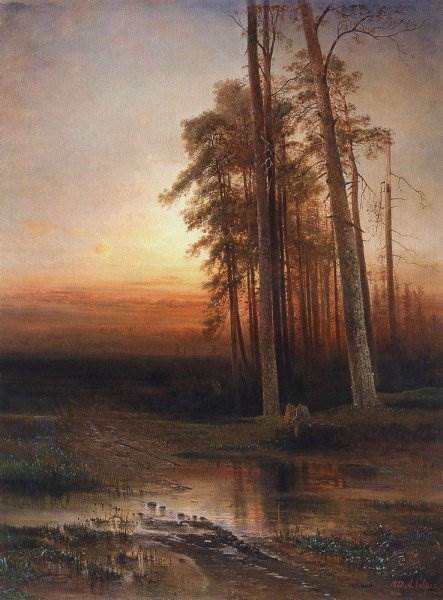 Alexei Kondratyevich Savrasov 24.05.1830, the great Russian artist. 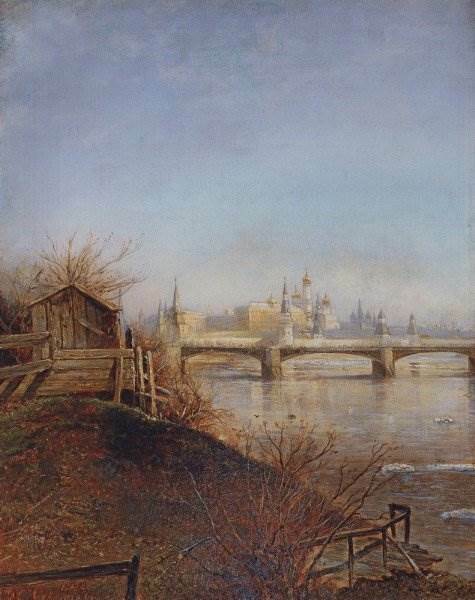 The ability to painting by Alexei Kondratyevich detected in early adolescence. 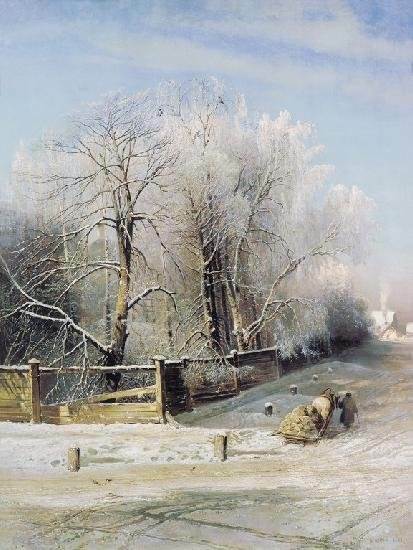 In 1844, Savrasov entered the Moscow school of painting, despite the protests of his father, who wanted to make his son a merchant. 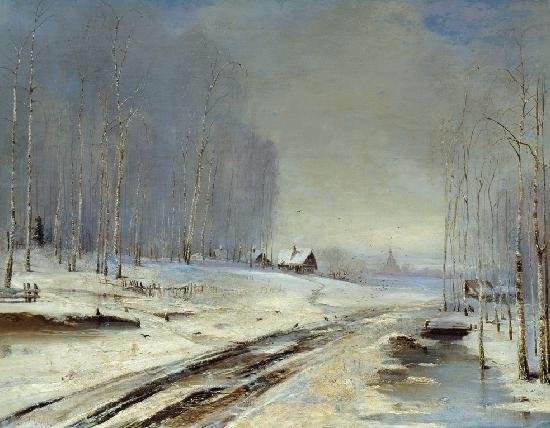 During the study, with the help of art patron Likhachev, Savrasov and a group of students sent to the South of Russia. that would be there to write the types of Odessa. 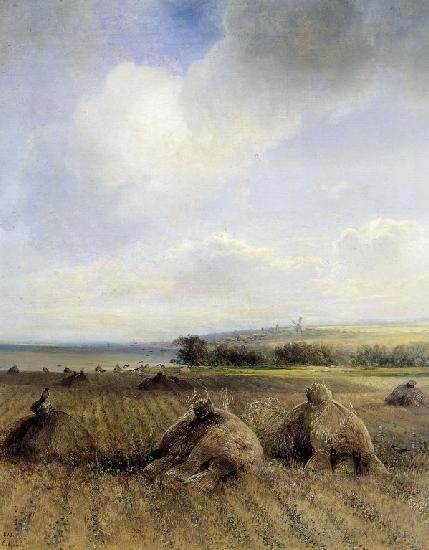 For this work the artist was awarded a commendable sheet. 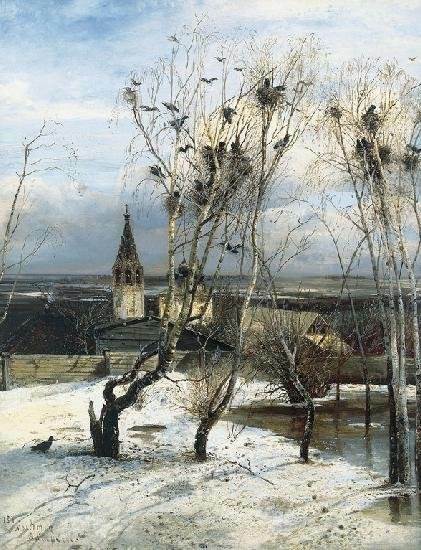 In his first works Savrasov adheres to all principles of academic schools and of romanticism @-" Вид of Moscow from the Sparrow hills"," Вид of the Kremlin in inclement weather". 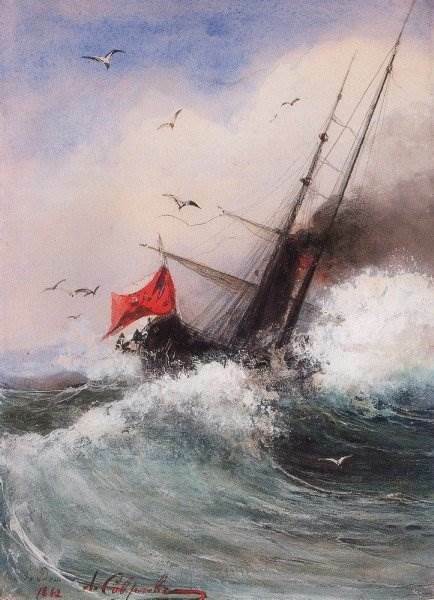 But even then the painter can be distinguished from the work of other artists. 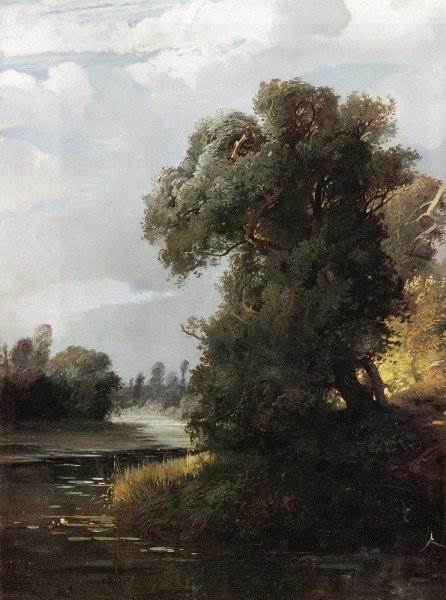 Soon for pictures" Вид in the vicinity of Oranienbaum" and" Морской shore in the vicinity Oranienbaum" Savrasov awarded the title of academician. 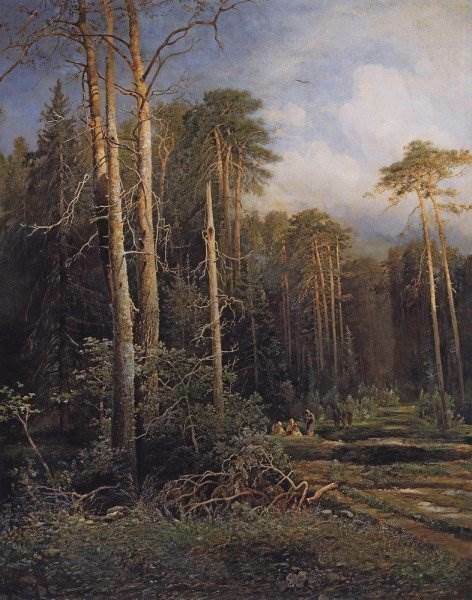 A lyrical portrayal of nature, almost poetic views attracted the attention of all artists of the time. 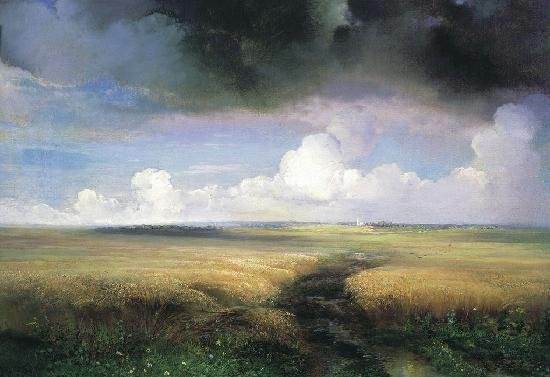 After the death of his teacher, Alexei Kondratyevich took the place of the head of the landscape class. A great friendship he was associated with another artist – pervym. 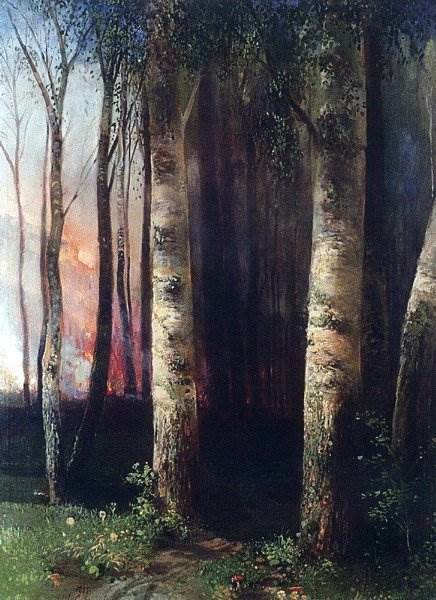 They often worked on collaborative paintings. 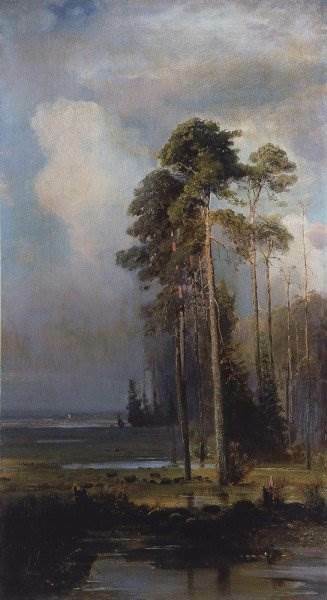 Perov helped write boatmen in the painting Savrasov" Волга under Yurievets". 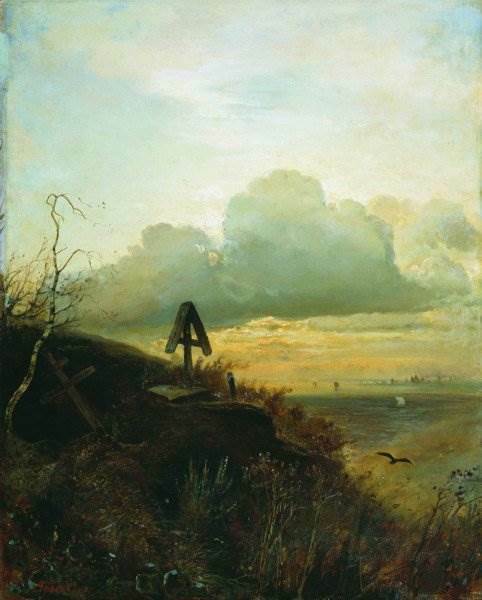 Savrasov helped to paint landscapes in such paintings Perov as" Птицелов" and" Охотники on привале". 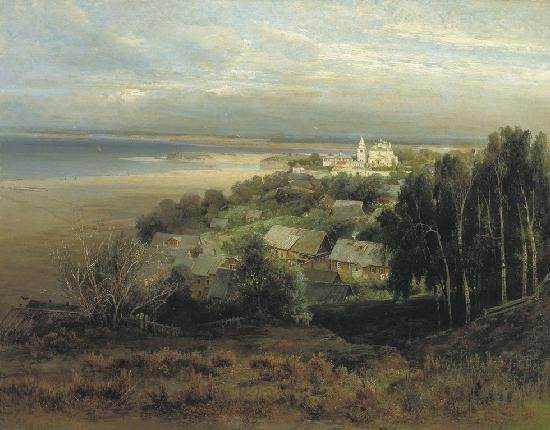 Picture" Лосиный island" was awarded the first prize at the exhibition of the Moscow society of lovers of the arts. 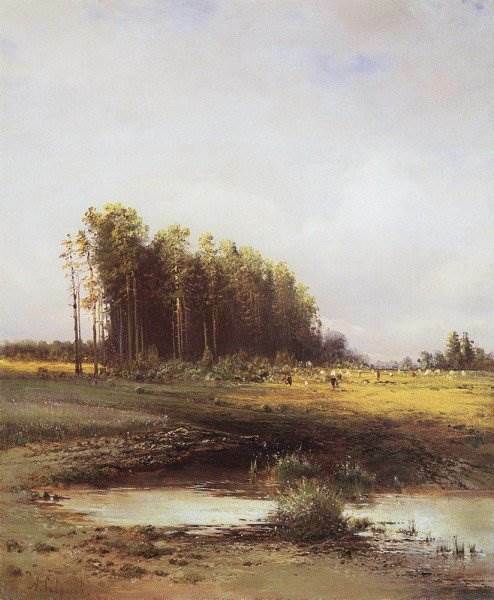 In this picture every detail is carefully crafted and thought out, not one blade of grass is not present in this work just. This flourishing of creativity Savrasova. 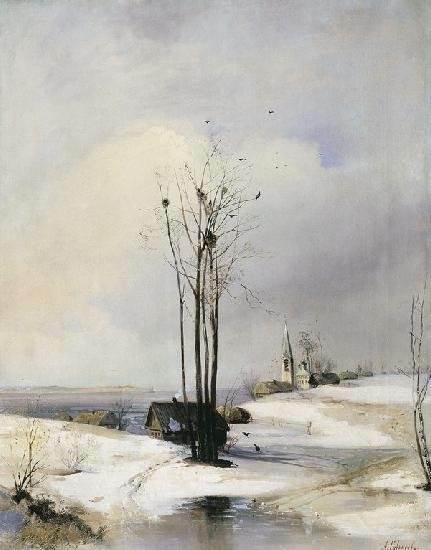 After that, he creates the biggest canvas" Печерский monastery near Nizhny Novgorod". 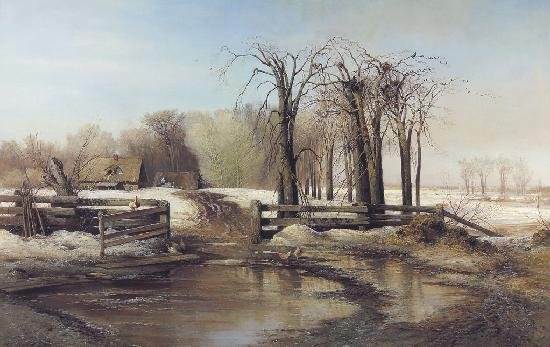 But his most famous painting, which is known to every schoolchild, every person in our country, and not only in our is, of course," Грачи arrived". 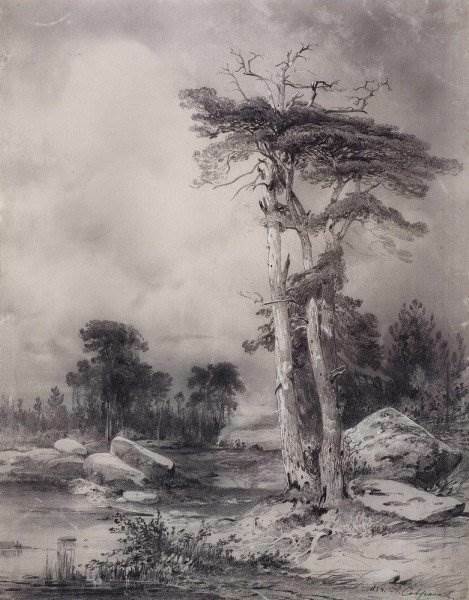 Here, drawn not only trees and water, but even the air and the spirit of spring mood. 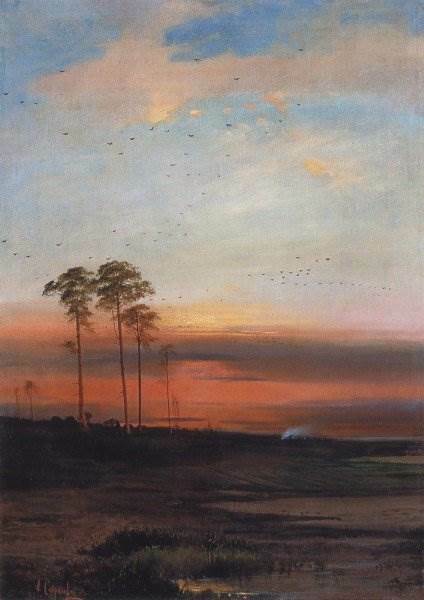 Very subtle colours and hues, the air is light and clear, the picture shows the awakening of nature. 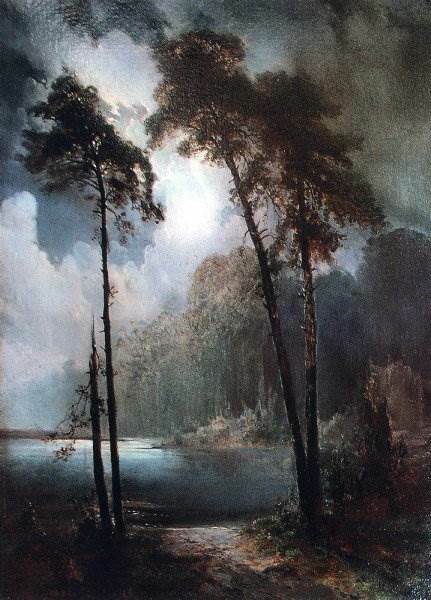 Picture" Могилы over the river" 1874, one of the darkest paintings. It was written after the death of his daughter. 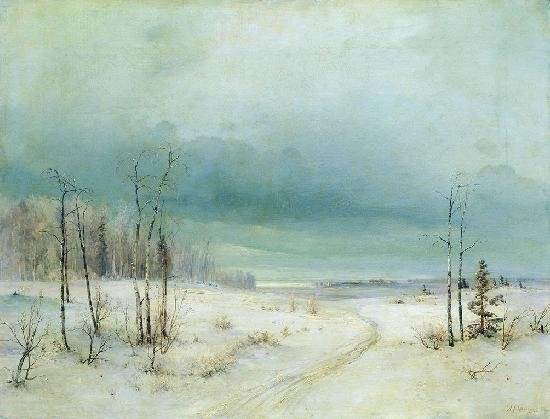 Soon in the late 1870-х Savrasov ill. 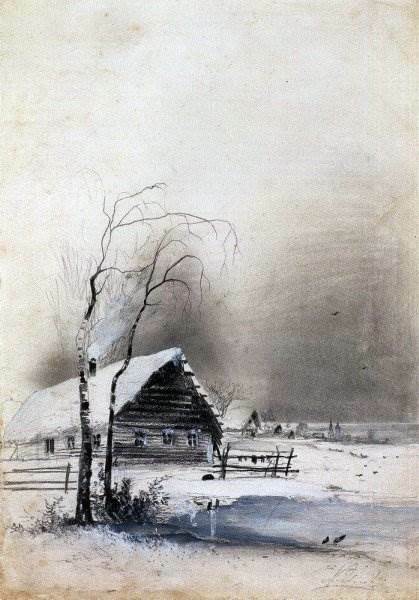 In his work the visible signs of decline, but then came out of his pen wonderful paintings @-" Рожь"," Зимний landscape"," Северная village"," Весна. The gardens" and. Last years of his life the great artist was very easy. 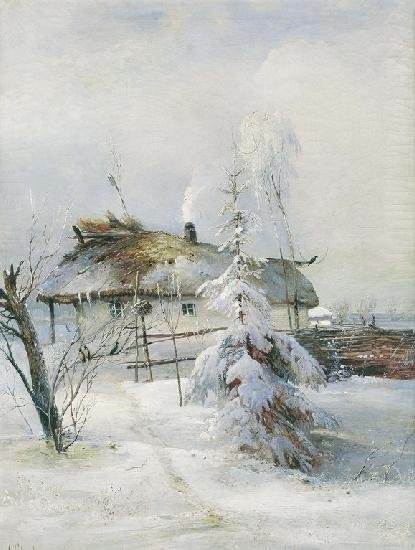 Savrasov lived in deep poverty and near-poverty. 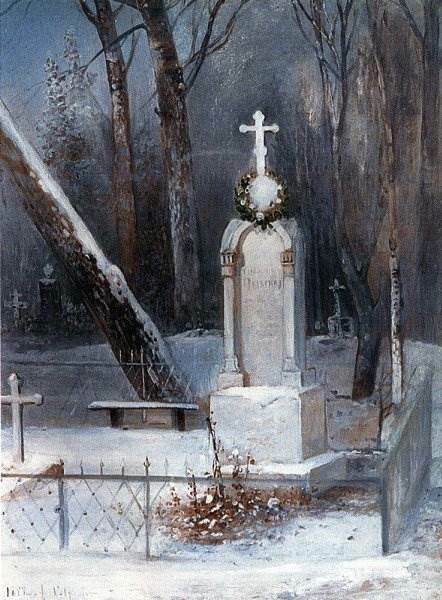 Died Alexei Kondratyevich in Moscow on 26 September 1897 in the old style.